Internet service providers are picking "winners and losers" in violation of U.S. Net neutrality rules by selectively exempting Web traffic from their monthly data caps, according to a coalition of more than 50 advocacy groups. 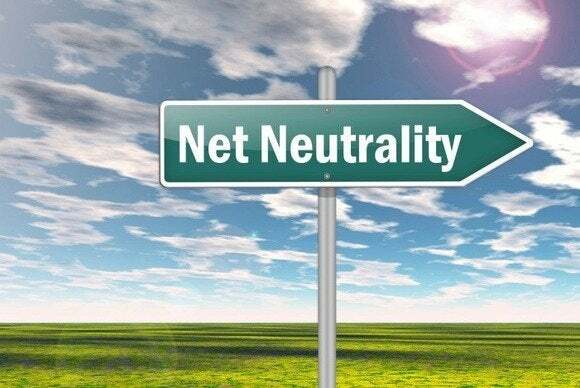 The Federal Communications Commission should stop ISPs from exempting selected Web traffic, known as offering zero-rating plans, and enforce its year-old Net neutrality rules, the digital rights and consumer groups said in a letter to the agency Monday. Zero-rating plans "present a serious threat" to the open Internet, the letter said. "They distort competition, thwart innovation, threaten free speech, and restrict consumer choice." In some cases, ISPs are favoring their own Web content in zero-rating plans, and in other cases, they are charging application providers a fee to be zero-rated, the letter said. While the FCC's Net neutrality rules say ISPs cannot charge websites and apps for "access to a fast lane," some mobile ISPs have created a new toll by charging them to be exempted from data caps, the letter said. Groups signing on to the letter include Access Now, Consumers Union, the Electronic Frontier Foundation, Fight for the Future and Free Press. T-Mobile, a pioneer of zero-rating plans, declined to comment on the letter. After months of sparring, the mobile carrier announced an agreement to include YouTube in its Binge On zero-rating program in mid-March. T-Mobile has argued that its zero-rating plan, by exempting several video services from its data caps, is good for customers. Comcast, meanwhile, disputed that its streaming service, Stream TV, is a zero-rating plan. "Comcast’s Stream TV is a cable service that never touches the Internet and so by definition can’t be so-called zero-rated," Sena Fitzmaurice, Comcast's vice president for government communications, said by email. "If you take the logical conclusion, that would mean all cable television service we deliver would somehow be the same." But the new letter called on the FCC move against zero-rating plans. "Without action from the FCC, zero-rating plans will continue to expand, and ISPs will continue to seek out ways to monetize capped broadband service at the expense of an open Internet and the communities that rely on it," the letter said.